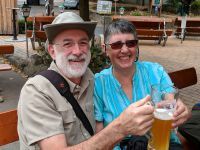 ​Thank YOU, Gene, for a great introduction to the Bavarian beer scene and some really great brews, sights, and company! It was really a great experience." "This tour surpassed our highest expectations! 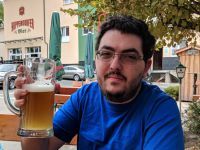 It was wonderful to experience the beers from the large Munich brewers as well as small brewers in Franconia; the smoked beer was unexpectedly wonderful - actually my favorite. I really liked that we were traveling by private bus which seemed to have really uncomplicated the trip. Lastly, the number of guests on the tour was perfect. Thanks for the great introduction to German beers and a fabulous vacation!" "We had wonderful time on our trip with Original Gravity Tours. Gene put together an awesome itinerary that explored many aspects of Bavarian beer. 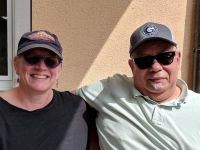 We visited large and small breweries, enjoyed great German food at a variety of beer halls and gardens, toured a malt processing facility and even visited some hop fields. The group was small which gave us the opportunity to really get to know our fellow travelers. It was well organized, well executed, and everything was included. The perfect tour for beer lovers!" "Gene is perhaps the best tour guide I have ever met. He knows Munich and Bamberg inside out and will introduce you to the best beers these cities have to offer. Transportation during the tour was in a private bus, and the driver added color to the tour with his own stories about locale. Transportation at the beginning and end of the tour was easy with great directions from Gene on getting to and from the local airports. Historical walking tours of both Munich and Bamberg were included and were a great addition to the tour. It was a great week of touring these cities and breweries!" ​“A true bucket-list experience! Going to Weihenstephan (the oldest brewery in the world) was great, as was meeting Dario, the owner and brewmaster of the Munich Brew Mafia craft brewery!" "If you love travel and love beer, and want a truly unique experience, take the Munich & Bamberg tour from Original Gravity Tours!" 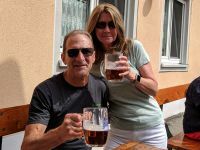 "Geno and his fellow guides were very knowledgeable about Munich and Bamberg and the amazing influence beer has had on German culture for hundreds of years. We had a great week with a great group of people!"